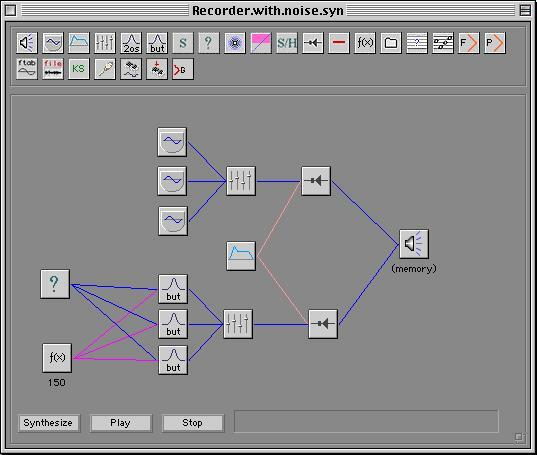 You will use two applications in order to deconstruct and then synthesize the recorder sound: Amadeus II and JSYD. If you need help with JSYD, see the SYD Tutorials. Save the sound file to your Local Workspace. Launch the application, Amadeus II. 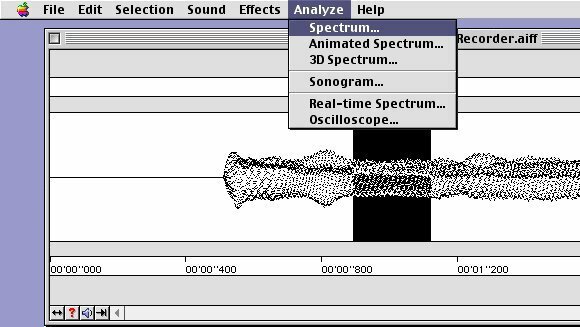 Select a region of the sound file for which you will examine the frequency spectrum. Try to select a region which appears to be the MOST STABLE (in terms of amplitude fluctuation). and then lick OK. It is best to select AVERAGE, which will return the MEAN frequencies and amplitudes. AmadeusII shows the amplitude values in both DECIBELS and 100% amplitude values. Since SYD only utilizes 100% amplitude values, you will have to approximate those values as closely as possible. 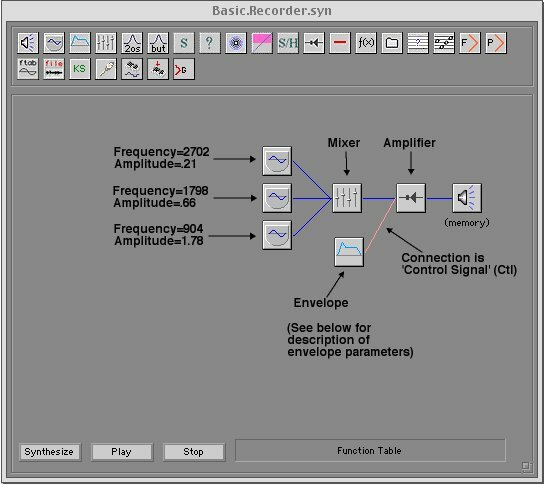 To synthesize the recorder sound using the frequency and amplitude values from the above table, launch JSYD. See the JSYD Tutorials if you need to review this application. You could put an envelope on each of the three oscillators. But, because one of the amplitudes from the decibel (dB) to amplitude conversion table [Table 2. above] is > 1.0, it is best to patch the outputs from the oscillators through the mixer. This attenuates the amplitudes proportionally such that the overall amplitude coming out of the mixer is <= 1.0. Consequently, it is more convenient to put the envelope on the amplifier. 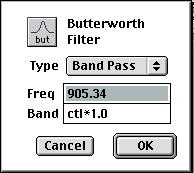 Adding breath noise to the basic recorder patch involves using Butterworth filter set to BANDPASS mode. You will add three bands of noise roughly matching the three frequencies derived from the spectrum analysis above. Look for the three Butterworth filters which have their output to a mixer and then to an amplifier, just like the Basic Recorder patch described above. In addition, the same envelope controls the amplifier for these additions. for the note A4 played on a recorder. 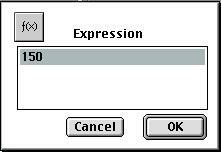 To increase or decrease the amount of noise you would like in your Recorder sound, change the value in the Expression operator. A higher value (eg., 300) will give you a lot more noise; a lower value (eg., 100) will give you less noise. 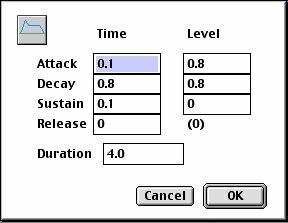 Make your Recorder patch more "complex" by adding additional frequencies. Revisit the SPECTRAL ANALYSIS you did with AmadeusII to discover the additional frequencies. 1. Do a 3-D spectral analysis and notice how the amplitudes of individual frequencies differ from each other over time. 2. The frequency of the ATTACK and the DECAY vary because of the change in breath pressure at those points. Less pressure creates a lower frequency than a higher pressure. Consequently, the frequency of the ATTACK becomes gradually higher and the frequency of the DECAY becomes lower.